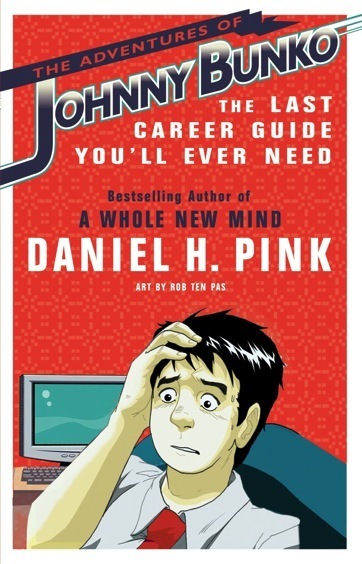 From a New York Times, BusinessWeek, and Washington Post bestselling author comes a first-of-its- kind career guide for a new generation of job seekers.There's never been a career guide like it.the fully illustrated story (ingeniously told in Manga form) of a young Everyman just out of college who lands his first job. Johnny Bunko is new to parachute company Boggs Corp., and he stumbles through his early days as a working stiff until a crisis prompts him to find a new job. Step by step he builds a career, illustrating as he does the six core lessons of finding, keeping, and flourishing in satisfying work: There is no plan ,Forget about your weaknesses, Persistence trumps talent, It's not about you ,Make excellent mistakes, Leave an imprintSmart, engaging, and insightful, The Adventures of Johnny Bunko offers practical advice for anyone looking to start a rewarding career.